“Was ever woman in this humour woo'd? Was ever woman in this humour won?” So quoth Shakespeare’s Richard III of his soon-to-be-bride Anne: widowed wife of one of his victims and a woman who proved more fickle in her affections towards the hunchback King than the glorious sun to which he compared himself. For like a dose of British sunshine, Anne’s love for Richard ebbed and flowed. Now the wily one is at it again; his wooing ways managing to change perceptions and afford the killer king a burial to which he would be the first to see fit, albeit 527 years after his death. 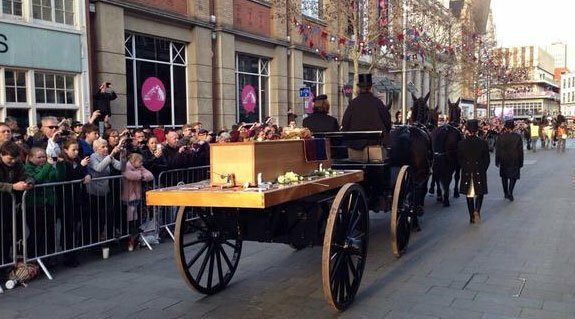 The pomp and circumstance which accompanied Richard III's reinterment on March 26th, 2015 was a far cry from the hasty burial of his body in 1485. The shallow, unmarked, unmourned grave of 500 years ago would eventually become a parking space for Leicester City council members, who would find themselves in a legal battle with York City Council for possession of Richard’s remains. 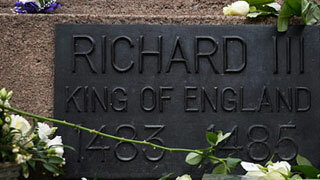 The fight to be the City chosen to become King Richard III’s final resting place was a contentious one. 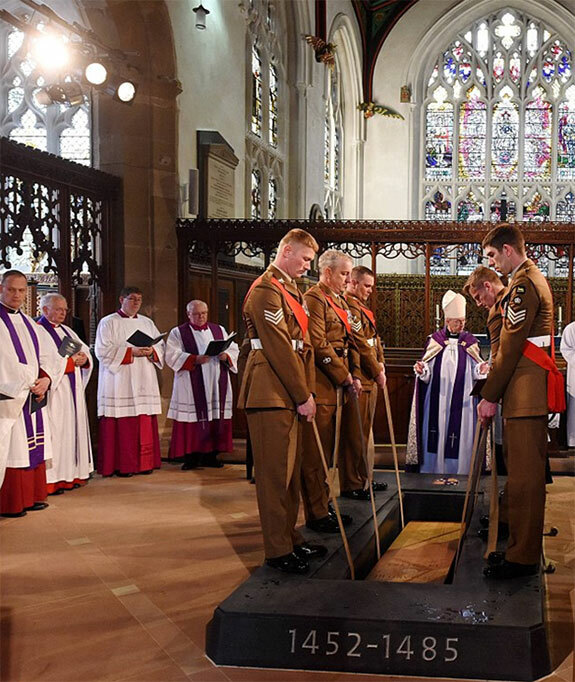 Judges eventually ruled in favor of Leicester, defying the wishes of descendants who had petitioned to have the last of the Plantagenet kings reburied in York. Most notable of Richard’s relatives is the reigning monarch of British stage and screen, Oscar nominee and 16 times removed third cousin to Richard III, Benedict Cumberbatch, who will shortly be portraying his relative on television. 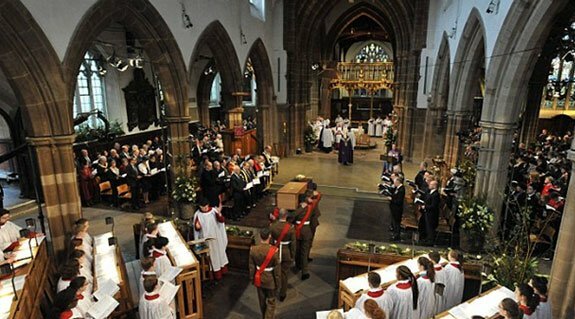 It seemed only fitting, therefore, that Cumberbatch be involved in the reinterment ceremony at the white rose-filled Leicester Cathedral, where he read the poem Richard by Poet Laureate Carol Ann Duffy. Other British luminaries were also present. They included the Queen’s daughter-in-law, the Countess of Wessex, and the Duke of Norfolk, whose Royal job descriptions apparently include the responsibility of having to attend funerals. 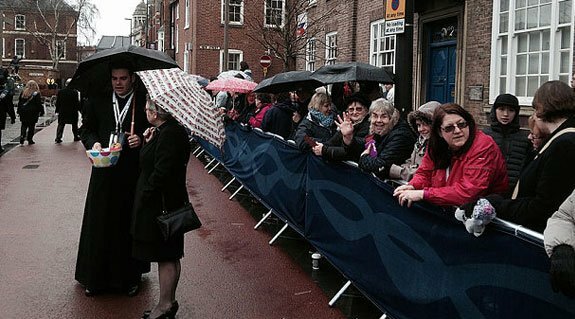 The Queen’s 70-year-old cousin, The Duke of Gloucester, was also present. 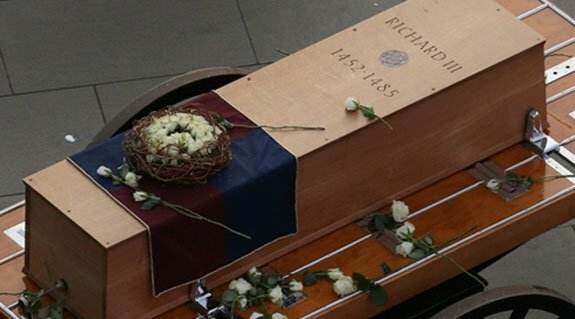 The current holder of Richard’s title before he became king provided a touching tribute when he laid Richard III’s own prayer book, which was found in his tent after the battle of Bosworth Field, on the coffin. The book was loaned out for the day by Lambeth Palace, who have carefully preserved it for the last 400 years. Not present at the ceremony was Her Majesty Queen Elizabeth II, who instead sent a special message recognizing the reinterment as being an “event of great national and international significance”. 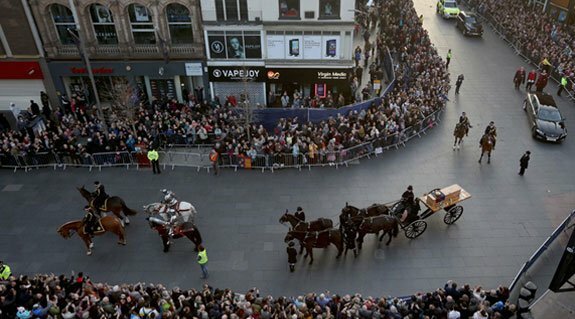 Her loyal subjects though came in their thousands; an estimated 35,000 queued for hours to see the coffin. 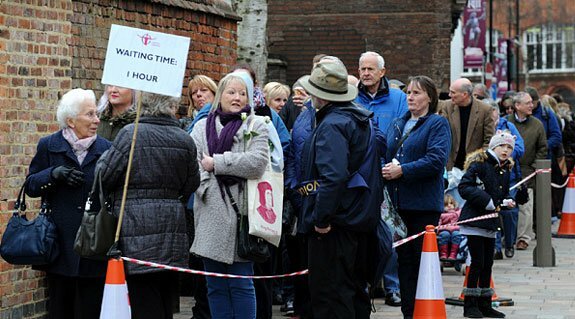 A few hundred places were reserved inside the Cathedral for members of the public whose names were drawn in a ballot to attend the service, which was presided over by the Archbishop of Canterbury. 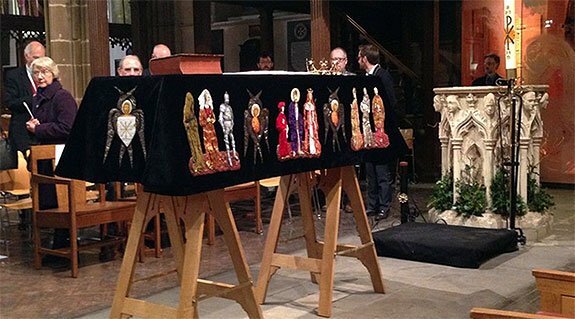 While not technically a funeral, many chose to wear black, while others donned medieval costumes in a nod to the era in which Richard III died. 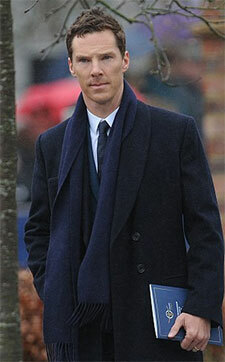 Actor (and relative of Richard III) Benedict Cumberbatch. Meanwhile, a hundred miles up the road in the City of York, the people of Yorkshire gathered to remember the death of the man who governed the north of England on behalf of his brother, King Edward IV. 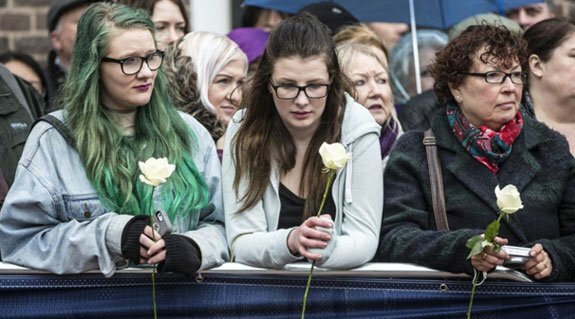 Despite the lack of a body, organizers planned what seemed to be a more somber affair than that being held the same day in Leicester. Beginning with a “Solemn Choral Evensong” at York Minster, followed by a procession through the city ending at the home of the York’s Lord Mayor. The next day saw the opening of a new exhibition on Richard III at the Yorkshire Museum, entitled Richard III: Man & Myth. 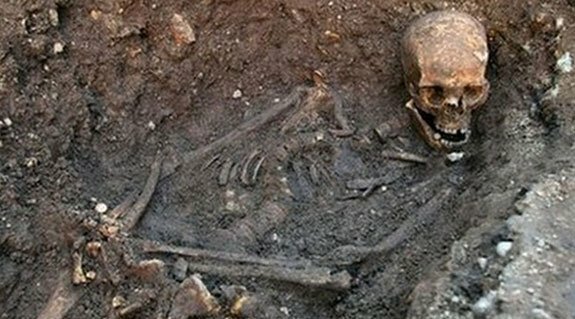 Of course there are those killjoys that say the bones found in the parking lot were not those of Richard III at all and that it’s a ploy to put tourist dollars into the city of Leicester’s coffers. How cynical. 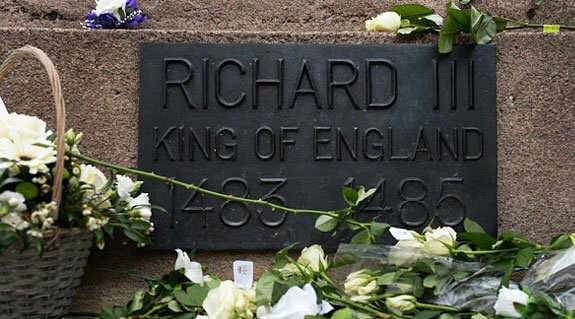 In case you are visiting England this summer by the way, the new Richard III Visitor Centre in Leicester, which stands on the site of the medieval friary where the king’s remains were buried over 500 years ago, is open 7 days a week. Ticket prices run about $10 each. For more information see http://kriii.com/.